Cast member Cuba Gooding Jr. smiles at a panel for the television series "The People v. O.J. Simpson: American Crime Story," in Beverly Hills, California, Aug. 9, 2016. Before he was an Academy Award-winning actor, Cuba Gooding Jr. had a slightly different gig. After a day spent at the Watts-Willowbrook Boys and Girls Club in Los Angeles to celebrate the Maytag Dependable Leader Awards, the 48-year-old shared his connection with the organization, which goes all the way back to his days as a break dancing teen. Back in the early '80s, Gooding and his crew, known as the Majestic Visual Break Dancers, used to perform on the streets, he told ABC News. “We were the group of kids who would put a piece of cardboard down and a boom box radio, and we would practice our moves out in front of storefronts and get change from passersby. And that’s how we’d eat,” he explained. The stores would frequently shew them away. But then they came across a recreational center that offered them space to practice -- The Boys and Girls Club (then known as the Boys Club). The young men were allowed to rehearse in the gymnasium under the condition that they bring their homework along with them. 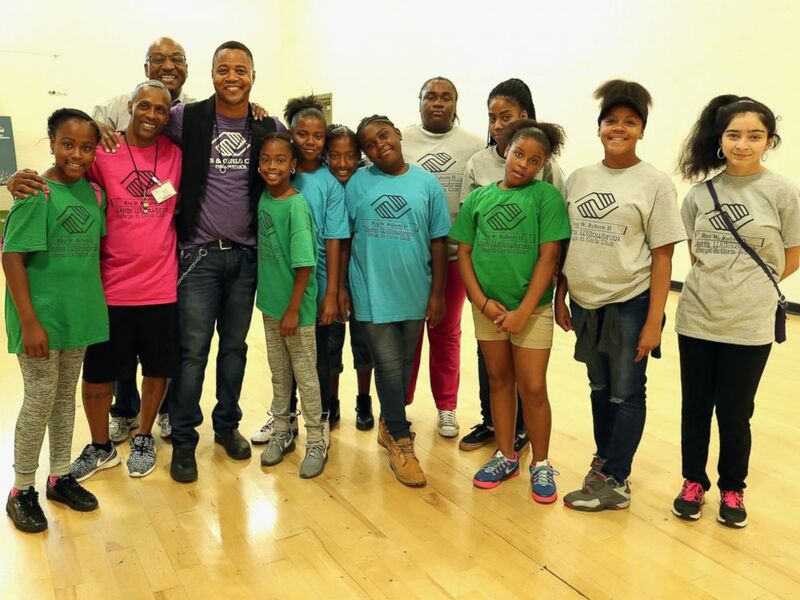 Cuba Gooding Jr. talks to Boys & Girls Clubs of Metro Los Angeles/Watts Willowbrook site members about the Maytag Dependable Leader Awards, Aug. 16, 2016, in Los Angeles. The practicing paid off. A couple of years later, when the Olympics came to Los Angeles, Gooding and his crew became the official break dancers for the 1984 Summer Games, he told ABC News. That’s right; Cuba Gooding Jr. was one of the kids busting a move behind Lionel Richie as he sang "All Night Long" in a blue glitter blazer during the closing ceremonies. Though you can’t identify him in the video, we know he’s back there somewhere doing his thing.